I decided to add this page to my site as having temporarily retired (I later went back to work part time) and looking for something to occupy my time, I decided to look into my family genealogy. Fortunately there is a lot of information at least on part of my family available on the Internet once you know where to look so I was able to quickly build a database of over 8,500 names so far. That was the easy part - finding more information about some of these people and getting past dead ends on some of the various branches is a lot tougher and time consuming. This on-line database is a little awkward to navigate so I have created this "cheat sheet" guide to finding the information which I suggest you read first - you can get the PDF document HERE. I think it will save some frustration if you are not familiar with MyHeritage web sites. If you find that you are a cousin, why now use the Contact page to say hello! I'd appreciate if you would include the name of the parent or grandparent you found so I know where you fit in the tree. You can search for anyone who is now deceased however you will not be able to search for or see anyone living - just a blank placeholder for the ones I know about so far. Many of these people originally were just names and dates I'd found on another old archived Lunenburg County database however I am slowly working through them one by one digging up more information to provide a better picture of these people, what they did, where they lived, etc (and including my sources), and I am finding more people as I do so. Most up to the mid-1900's in Nova Scotia were farmers and fishermen. The people I have listed below are a few of the more interesting ones I've found. On my computer I use Family Tree Builder from MyHeritage and I like the design and layout of the software, although I'm not so impressed with some of the printed report layouts. It includes a web version uploaded to their web site (which is what you will see if you look at my site above) although I find the web layout much less easy to use than the desktop version. If you are interested in genealogy software, have a look at Family Tree Builder. Family Tree Builder is free for use on your computer and will take an unlimited number of entries. It has a very nice desktop interface. It also includes a free web site however they state that the free web site is limited to the first 250 names unless you upgrade. To use some of the extra on-line features in Family Tree Builder (like Record Matching, Smart Matching, etc.) you would need to purchase the upgrade subscription but I don't think that is so important. There are complaints on the user forum also about the subscriptions. It is not easy to find the forum - no link on their site - but you can find it at www.myheritage.com/support-forums. Good idea to read the postings before paying any money. I find it works great without using those features. As for the 250 limit to the web version, I never upgraded and mine as of 2017 started accepting my full database on-line - over 8,500 so far so I don't know if their policy changed (no indication of that) or if this is just a nice "glitch" on my site. Our Corkum history goes back to 1525 (I'm trusting others have gotten this correct - I have no way to verify this) which was about when my Great (x10) Grandfather Johannes was born in Gorinchem, South Holland. The city is pronounced GOR-KEM which is where the family name came from. The next generation moved to Germany where they were given the name "von Gorinchem" (from Gorinchem) which in succeeding generations became von Gorkum and later just Gorkum when my Great (x5) Grandfather Wilhelm and his brother Herman and their families emigrated to Halifax, Nova Scotia in 1752, and a little later to Corkum. 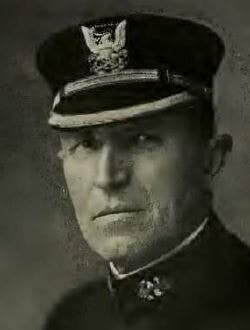 Herman and his wife died on the voyage although some children survived, and Wilhelm settled his family in Lunenburg. I have found a copy of his original land grant and know that his house lot in Lunenburg was on the corner of the block where the front entrance of Zion Lutheran Church is located today. And I have approximations of where his other 30 and 300 acre property grants were located (neither of which are in the family today.) I've also found that our extended relatives are farther afield than we realized. Many of them emigrated to the US and settled in Massachusetts in communities near Boston in the late 1800's and early 1900's. Closer to home, there were a large number also in the 1800's in Chester. Today of course people are much more transient and relatives are scattered in many locations in Canada and the US. I have no idea where Herman's children settled - I have no information on the first generations of his line leaving me with many unconnected Corkum names, presumably many of his descendants. If anyone reading this knows anything about that line of the family I would sincerely appreciate any information you can provide. It is my guess since I know of no other Corkum settlers coming from Europe, that all Corkum's must be related through these two brothers. As a caveat, everything I know about the early generations of Corkum's from Johannes in 1525 up until official records can be found on-line starting in the 1860's-1870's comes mostly from other people's genealogy databases as very little original documentation from the early period is available on-line where I've done all my research. It appears that everyone seems to be copying from each other, often without stating sources so we are unable to substantiate the accuracy of the information from those years and seem to be trusting that someone started with some verifiable sources. Therefore errors are bound to occur, both from people who may be named in error and also many who have not been found at all. If you find something you know to be incorrect, or have information that I can add (including if you are related), please reach out to me through my contact page. A personal site in English with many pictures. Official Dutch site for the town. I haven't yet gotten very far on the other three ancestral lines although they all came from Germany - Zinck, Rhodenizer, and Hebb. My mother's paternal line, Rhodenizer, goes back to my Great (x7) Grandfather Hans Heinrich Rothenhauser (again trusting others' research) born about 1650 who had been mayor of Hoffstetten, Germany which I have not yet been able to locate with certainty as there appeared to be multiple places of this name (although I hope it is the one in the beautiful mountain valley). Finally I thought I'd include some interesting people I've discovered in my extended family. ​James Amiel Corkum (1852 - 1938) - This is my Great Grandfather who I have learned was a ship owner in the fishing industry here. Between 1884 and 1920 he owned a number of fishing schooners, fifteen in total (that I found) although the most was four at one time. 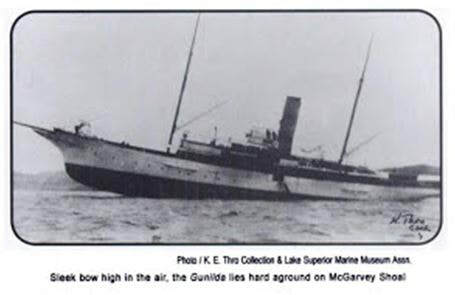 Detailed information about the schooners was found on the Canadian government's website archives. If you would like to know more about the schooners, I have collected it in this document "Fishing Schooners of the Corkum Family"
​John Acy "Red" Campbell III (1921 - 2012) - Another noteworthy relative I recently found. John was a sixth cousin (yeah, not that close, but I'll take what I can get) in the United States who had joined the RAF before the US entered WW2. He was a Spitfire pilot. According to the story, he found that the British weather aggravated his sinuses so he requested transfer to a squadron in Singapore. Unfortunately it was not a good move and he was there just one month when he was shot down and ended up spending 2 1/2 years in a Japanese POW camp. 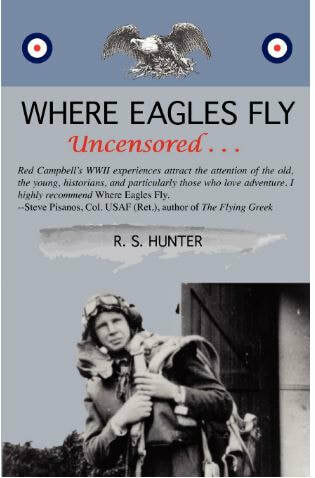 He survived and in 2012, his son-in-law, R. S. Hunter, wrote his biography titled "Where Eagles Fly, Uncensored". The book looks like it is out of print now - some used copies were recently available on Amazon. I also found one at a good price ("cheap") on Barnes and Noble marketplace. ​Chris Whitten - This is a case where Chris found me. Chris is the President and founder of WikiTree in New York which is described by Wikipedia as "WikiTree is a free, shared social networking genealogy website that allows users individually to research and contribute to their own personal family trees, while building and collaborating on a singular worldwide family tree within the same system." Chris is a another American sixth cousin. ​Cassie (Corkum) Chesley (1887 - 1959) - Cassie (a 2nd cousin twice removed) married Israel Chesley, both from Lunenburg County, in 1911. Israel was a farmer. These were two ordinary people however within three months of their marriage they immediately moved to Saskatchewan to be homesteaders. It was at that time that the government was opening up prairie lands to settlers and Cassie and Israel obtained a parcel of land near Nokomis SK which today is just one hour south of Humboldt. They apparently farmed there until Israel died in 1947 and Cassie came back to Nova Scotia. The Google map coordinates of the homestead are 51.536390, -104.848645 (enter those numbers in Google maps search). The satellite image doesn't show any indication that this land is farmed today. Arthur Perry Shankle (1906 - 1993) - Arthur was a 3rd cousin once removed. He was born in my home community of Middle LaHave and later moved to the US. His sister was a neighbor to me for many years. Arthur is interesting to me not because of anything he did but again because of where he worked. Arthur worked for nearly 40 years for the Norton abrasives company in Worcester MA until retirement in 1969. Why is that interesting? Well, my father was a carpenter and he used a lot of sandpaper and I remember that Norton was the brand name on much of the sandpaper he used. It's interesting to think that a relative may have helped make that product. Norton today is still one of the world's largest manufacturers of abrasive products. 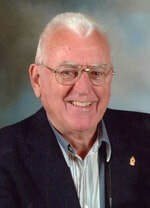 Gordon Fenton Tanner (1930 - 2013) - Gordon's wife, Beatrice Corkum, was a 5th cousin once removed. I am including Gordon as an interesting relative as his obituary states that he had worked on the Avro Arrow airplane. I always thought it was a government mistake when they canceled the project and destroyed everything. Edith Marguerite (Corkum) Wallis (1908-1988) - Edith was a 1st cousin twice removed and she was the owner/editor of the Digby Courier newspaper from 1955 after the previous owner (her father-in-law) passed away until she sold it in 1973. There is an interesting article about the paper in the January 1969 issue of Macleans Magazine which you can find here and also a 1979 interview she gave about the history of newspapers in Digby County of which you can find a transcript here. Andrea Chappell - Andrea is my 3rd cousin. She is the Director, Instructional Technologies and Media Services at the University of Waterloo. 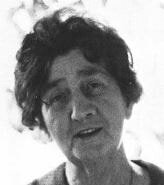 She is also the granddaughter of Edith Wallis (above). What makes Andrea interesting to me is that we have an "occupational" connection. I also have worked in the audio visual technology field for the last 35 years although my work has been as accountant for a Maritime equipment supplier. Paul Bruce Corkum - I have two comments for you. 1) What is an Attosecond, and 2) Don't forget the chocolate. OK, if I have peaked your curiosity, you will have to read this 2015 article to find the answers. And the answer to the next question after reading the headline is no, he didn't win. The follow up is here (if the link still works). Paul is a 2nd cousin once removed and his official title is "National Research Council-Canada Research Chair in Attosecond Photonics and Professor of Physics, University of Ottawa". I'd say he is a pretty impressive relative in my tree (even if I don't know what most of that means, and how he fits it on a business card). His CV (resume to us commoners) is 47 pages long! In November 2018 he went to London, England to be the first Canadian to receive the Isaac Newton Medal, the UK's highest physics award. Here is the announcement on the UK's Institute of Physics site. 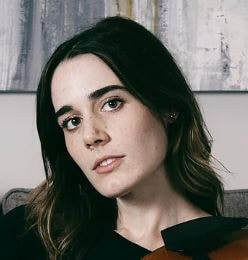 Ellen Daly - Here is a talented young musician in the family from the Ottawa area. Ellen is a 3rd cousin twice removed. Check out her web site here. And listen to some of her music on her YouTube Channel. When digging into your family past, sometimes you find the oddest things (along with some skeletons which I won't mention here). But this one really surprised me. I found a 5th cousin named Ora Vaughan whose first husband died a few years after World War 1 as a result of injuries sustained in the war. She later remarried to Roderick Hamm. These were both just ordinary people like most of my relatives - they lived in Gold River, Lunenburg County - however here is where it starts to get "freaky" for want of a better term. Besides having the same first name as me, look at the signatures in the picture here. The one on the top is Roderick Hamm's signature from his marriage in 1926 - the one on the bottom is mine from 1971. What are the odds of two people with the same handwriting? Of course handwriting changes over time and my signature is very different but that is just weird! And to add something else, Roderick Hamm was a carpenter. My father was a carpenter and I "grew up" in his work shop so gained some carpenter skills although I went a different career route. Terra Beata Cranberry Farm - OK, I just thought I'd throw in a "plug" for a family business now 20 years old. I learned that the owner of this business near Lunenburg NS is David Ernst. David is a 3rd cousin once removed. Click the link to visit their web site - the "Where to Buy" tab will tell you where to find their products in Canada. Look for their products the next time you are in one of those stores. For those of you interested in your family history, here's a puzzle for you to chew on. You had two parents. Each of your parents also had two parents, and each of them also had two parents. So starting with you the number of your direct ancestors doubles as you go back each generation ... 1, 2, 4, 8, 16, 32, etc. Picture this as an upside down triangle getting bigger as you go up (backward in time). Makes sense, right? A "generation" is assumed to be about 30 years on average so if you start today and count back doubling every generation, by the year 1600 you should have over 16,000 "great grandparents" and by the year 1150 that number would skyrocket to over 500 million which is obviously impossible as the total world population at that time was estimated to be less than that number. So were is the fault with this calculation? Population growth is a right side up triangle getting bigger as you go down (forward in time). It's something called "Pedigree Collapse" and apparently is quite complex mathematics. It basically says that instead of one upside down triangle, you have a diamond shape with points on top and bottom. I have found a web site that tries to provide a more understandable explanation (without the math) which you can find HERE although I must advise that it is still a rather deep subject and this is a long article. The extremely short answer is that basically somewhere in everyone's history a lot of ancestors married close relatives thereby severely limiting the number of "grandparents". The article indicates that this would have had to happen in large numbers (hence the "collapse") over time as a few cases would not have had much effect on the results of this puzzle. It depended a lot on migration patterns too. In times past many people tended to live in a small geographic area all their lives (travel was difficult) so communities probably eventually developed many closely related people severely limiting available spouses who were not related in some way. So if you marry a cousin, you share grandparents somewhere so have two less. If a lot of your relatives married cousins, then you can see the number of grandparents gets reduced quickly. I have come across numerous web sites of what looks to be useful information - some more so than others - so I decided to make a list of the sites that I have found should someone reading this be interested in trying to find some information about their family history. Most of my family lived in Nova Scotia, primarily in Lunenburg County, so many of the sites refer to Nova Scotia information although some relatives also moved to the United States, primarily Massachusetts area. So for what it's worth here are some of the resources that I have found, in no particular order. Census Records - While census records begin at 1825, these are regional and only cover the whole of Canada after confederation beginning with the census of 1871 going up to 1921. All are freely searchable. The 1851 and 1861 census records include Nova Scotia but are next to useless as only the head of household is named. Warning - the people indexing the records were often unfamiliar with names and some of the spellings are way off so you may have to try variations and partial names in your searches. Military Heritage - If you relative served in the military, died in the wars, received a medal, etc. you may be able to find them in one of the databases here. Ship Registrations, 1787-1966 - Did your relative serve on board a ship? You may be able to learn about the ship here. List of Databases - See this page for the various databases available to be searched. Some cover only certain regions. Archives Search - From here you can search throughout the archives. Nova Scotia Archives - There are some things here that can be useful for genealogy. Census Returns, Assessments and Poll Tax Records, 1767-1838 - This may be of use however be warned that these early documents contain very little useful information. Often only the head of the household is named. Historical Maps of Nova Scotia - Maybe you are looking for a map of an area where an ancestor lived. Virtual Archives - Various interesting information whether or not useful for genealogical purposes. Nova Scotia Historical Vital Statistics - This site is a gold mine for researching births, deaths and marriages in Nova Scotia. Look up births (1864-1917), marriages (1763-1942) and deaths (1864-1967). You can look free but you can't download or print. There's a charge to get a copy of the document (unless you want to do a little creative copy and pasting.) Births and deaths from 1878 to 1907 seem to be missing, and also in the early years many births, marriages, and deaths may not have been registered. Transcription is usually pretty good but there are errors so you may have to try partial names if you don't find what you are looking for. Nova Scotia Obituaries - A private site but you may find it useful. Obituaries are a great place to find more relatives. Nova Scotia Obituaries - Another site containing a variety of Nova Scotia obituaries archived on RootsWeb. Nova Scotia Roots Genealogy Mailing List - I have no idea if this will be useful - I am not a subscriber - but have a look. Seems to be a place where people post inquiries. Lunenburg County GenWeb Project - Links to genealogy sources for Lunenburg County, Nova Scotia. In particular, I would recommend you to check the Church Records page - download the Excel spreadsheet index at the top for a great searchable database. I've only viewed a few of these resources so far. Lunenburg County Land Grant Maps - These are some maps from J. Christopher Young's book "Maps Associated with Lunenburg County Family History" and shows the locations of the lands granted to the original settlers of Lunenburg. For a map of the Lunenburg town lots that were granted, see this Nova Scotia Archive page. However this isn't much help if you don't know the lands your ancestors were granted. For that, see the Family Search link for Nova Scotia Probate Records below - you might get lucky and find your ancestor's name listed. I did. Chester Township Book - This site contains a quantity of interesting records from the 1700's and 1800's for the Chester area. Halifax Historical Council Minutes - Starting from 1841, you can find minutes of council meetings for Halifax city, county, Bedford, and Dartmouth. Halifax City Civic Street Renumbering - If you had a relative that lived in the city of Halifax and you know their old street number, it may be difficult to know today where they actually lived as the city adopted a completely new four digit renumbering system in 1958. However this chart will allow you to convert many old numbers to new ones. For some more information on the project see here. Down East - A Maritime Heritage - This web site by genealogist Don Shankle has a number of names from Nova Scotia and a few from Newfoundland also. New Brunswick Provincial Archives - Research births, deaths, and marriages in New Brunswick. Canadian Virtual War Memorial - On this Veterans Affairs Canada site you can look up information on any relatives who died serving in the military or the RCMP. Everyone Remembered - This is a project of the Royal British Legion to document those who served and died in World War 1. If your ancestor died during military service in World War 1, try finding him/her on this site. For Posterity's Sake - This is not an official site but if you had relatives who served in the Royal Canadian Navy, they may be listed on this site under the ship that they served on. There are many ships listed, some with pictures, and the crew lists are far from complete especially on the older or lesser known ships. United States Census of 1940 - If you had relatives in the US in 1940, you may find them here. This is hosted by Ancestry and you may need to create a free login but access to this one census is free, other parts of the site need a paid subscription. This census has quite a bit of detail including street address of residence, occupation and sometimes the name of employer, etc. United States Social Security Death Index - This is not an official site but it does have basic information (birth and death dates) on deceased persons who had US Social Security numbers. Useful for finding a little information on US relatives. FamilySearch - On this site you can search for your ancestors/relatives - there is a login but everything is free. Depending on the results it finds, sometimes it can give you a "back door" free access direct to other US census records that normally cost through Ancestry. Their filters are rather tricky to use. I suggest searching first without filters and then maybe using some of the filters. I found that adding a filter will sometimes remove a useful record that was found without a filter, so be careful. North America - Here you can drill down to your country, province/state, county, etc. Nova Scotia Probate Records, 1760-1993 - If you are in Nova Scotia, this could be useful. I found my original ancestor's 1750's Lunenburg property grants here. Canada Online Genealogy Records - This page has many links that may be useful if you are searching regarding Canadians. Some links to go paid sites, some no longer work, but some do look useful. I've only checked a few. South Shore Genealogical Society - Genealogical information on Lunenburg and Queens Counties, Nova Scotia. There are some links to other family sites on this page. Find-A-Grave - This is an excellent site to find where your relatives may be buried. It is a volunteer run site with many names from many cemeteries, including many tombstone pictures where available. Sometimes you will find an obituary posted here also. You do not need a login (free) to search, only if you wish to post anything or contact someone. If you have a login, you can create your own "virtual" cemetery where you link the cemeteries and names that you have found all in one place. I have found relatives in 114 different cemeteries so far. If you don't find the person here, you might also try BillionGraves as I've occasionally found one there although I don't particularly like the way that site is designed. Gail's Genealogy Page - This is an old archived site by Gail Facini Edwards no longer updated however it contains a very large database of names and I am including it here because I think it is a very valuable resource for anyone researching Lunenburg County relatives. If you are looking for a relative who lived in Lunenburg County, Nova Scotia, try here - I found over 5,000 of my relatives listed. Click the Surname List link and go from there (watch for variations in the spelling.) Unfortunately there are no original sources listed and as with anyone's personal database, there are likely a few errors. WikiTree - Check this web site for your relatives/ancestors. It has a large database. Wikipedia describes it as "WikiTree is a free, shared social networking genealogy website that allows users individually to research and contribute to their own personal family trees, while building and collaborating on a singular worldwide family tree within the same system." The President and founder is Chris Whitten who advised me that he is a distant cousin. Find People in the USA - These are two people search sites in the US that I have used on occasion to find where people may have lived (there are numerous other sites as well). These sites are geared to finding living people however sometimes you will get results for recently deceased as well. The more information you can fill in the blocks obviously the better the search. WARNING: I KNOW NOTHING ABOUT THESE COMPANIES AND DO NOT SUGGEST YOU PAY ANY MONEY - I TEND TO BE SUSPICIOUS ABOUT THESE SITES. You can get a small amount of information for free on these sites however they want you to pay before getting any additional detail information. Free results if anything found may include age, towns where the person may have lived, and names of other persons who may be related. This isn't much but at least it could help narrow down your further search a bit. Also have a look at this web blog article I just found. I looked at some of his suggestions (again, don't pay for anything) and found "TruePeopleSearch" gave a surprising amount of contact information as did "Pipl" - I didn't try the others. Some only find people in the US. Ancestry Message Boards - This may be useful if you are looking to connect with other people who may be able to provide you with some answers to your research. Necrologie Canada - This is primarily a French Canadian site for obituaries but there are some English results. I didn't find it particularly useful myself but it may be, depending on where your relative lived. Locate Family - I don't know how useful this might be but it might help if you are looking for living people. It has many names, addresses and phone numbers worldwide. Omnia - I have just found this site and have no idea what it is (it is an Ireland web site) and it may not look particularly useful to you but I was surprised to find some useful documents there. Just type a name into the search box and see if anything turns up. I found a few US Naturalization Cards there (same as on the Fold3 site but these were free and easily readable). The following is a list of web sites which just contain links to other possibly useful sites. I haven't checked many of them but I'll put them here in case they have something useful. Cyndi's List - Many links to various information. For Canada, click here. Dwayne Meisner - Quite an eclectic variety of links. Canadian Genealogy Records Online - An interesting mix of links. Blupete's Favourite Links - A selection of links, mostly Nova Scotia by Peter Landry, a Dartmouth Lawyer. Some other interesting items under the History link (left menu). Canadian Genealogy and History Links - A lot of stuff here. This takes you to the Nova Scotia page but you can go to other sections with the menu at right. CanGenealogy - By Dave Obee (who wrote the DNA article below), this site has a lot of potentially useful Canadian links. Mary's Genealogy Treasures - An older site but a lot of links, not just for Canada. Nova Scotia Genealogy Network Association - Numerous links for Nova Scotia information. ﻿DNA: Should Siblings Test?﻿ - Lastly if you have been thinking about a DNA test, this item may be of interest to you.